UK FootPool are the inventors of the game everyone across the world is wanting to play. FootPool is a combination of two very popular sports, football and pool. 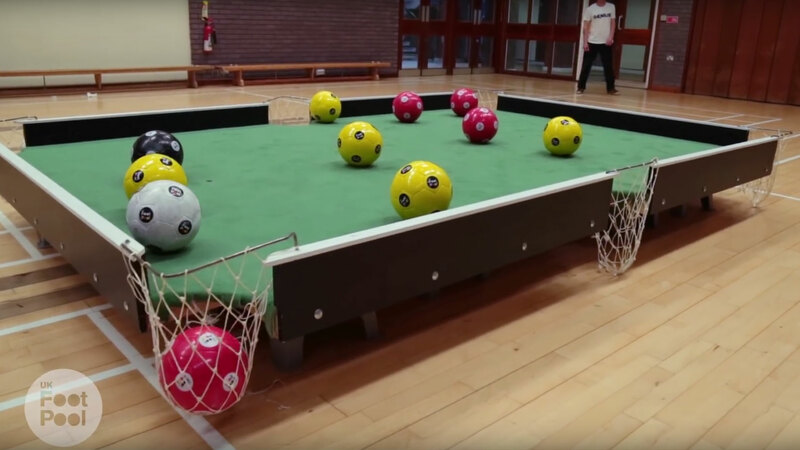 The game is played on a 12ft by 8ft table using 10 footballs with the rules similar to traditional pool. Our clients include, Liverpool FC, Manchester City FC, Soccer Am, Butlins, pro:direct soccer, McDonalds and the F.A to name a few. Having supplied more FootPool tables for day hire, long term lease and table purchase, we know exactly how to meet your expectations.